Yes, it’s possible to have a bathroom that’s both sophisticated and high-style in its modern aesthetic, as well as sustainable, too. In fact, many modern looks are designed with sustainability at their heart. By following these simple steps, you can create a bathroom whose contemporary-chic style also leaves a light ecological footprint. Ditch the tub. It’s sad but true. Your bathtub is a huge waste of water—a full bath uses 70 gallons of water, whereas a five-minute shower takes only 10 to 25 gallons. Try ditching the tub for a water-saving shower instead. And if a leisurely candelit bath is part of your nightly pampering tradition, consider alternating the days that you sit and soak—or even opt for a weekly bath instead. Try a steam shower instead of a body spray. 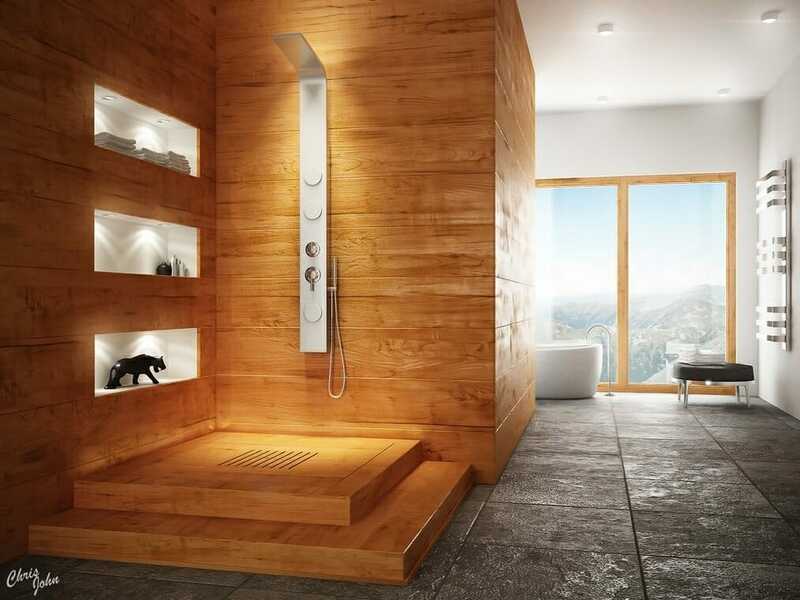 A steam shower can stretch two gallons of water over more than twenty minutes, making for an equally luxurious experience that doesn’t waste water in the process. Choose a low-flow shower head fixture. Low-flow fixtures use high pressure to deliver less water with more effect. You’ll be surprised by just how little you miss your previous showering methods—these fixtures provide a quality showering experience with plenty of water pressure and more than enough water to effectively remove the soap from your body and the shampoo from your hair without using more water than you really need. Plus, using them can save the the average family can save close to 3,000 gallons of water per year. Use natural materials in your bathroom. Metal, porcelain, and recycled glass are all eco-friendly choices that will give you a sleek, modern-chic appearance while also leaving a lighter footprint. Glass tile especially infuses your bathroom with a refreshing and invigorating feeling. Incorporate modern elements. Incorporate a combination of contrasting base colors, geometric shapes to add interest and color, and patterns like chevron and herringbone to create a contemporary style that you’ll love every time you set foot in your bathroom. All of these effects can be created with sustainable materials, which means that your bathroom will be not only luxurious, but green-friendly, too. Warm your feet. Have a bathroom that’s always cold, or find yourself shivering when you step out of the shower? 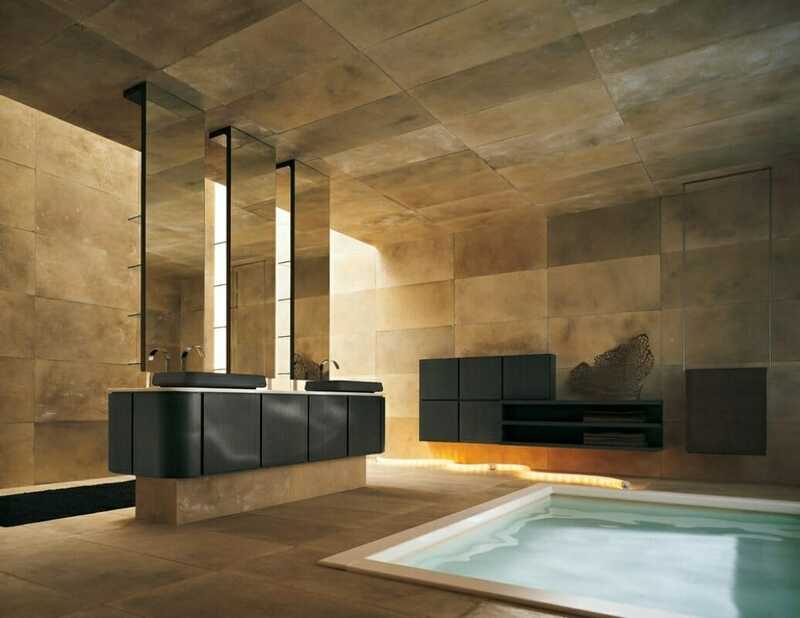 Consider a heated floor to warm up your bathroom in an eco-friendly manner. Because heat rises, you’ll discover that your bathroom stays warmer while still using less energy. Get creative with the lighting. 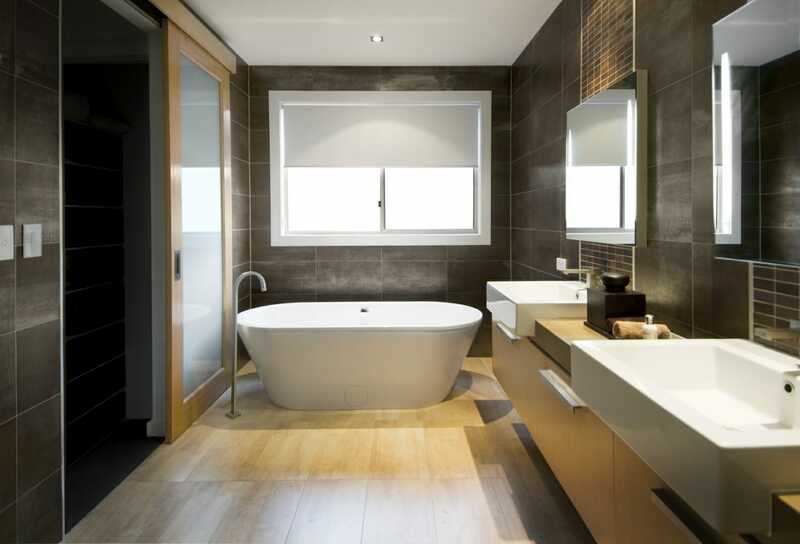 Use creative fixtures and take advantage of natural lighting to create the best possible appearance in your bathroom. You can use task lighting to specifically illuminate areas like your mirrors, where bright light is more important, and decorative lighting that is designed to highlight specific areas in the room for maximum beauty. A back-lit mirror and under-cabinet lighting will also add to your bathroom’s light without sacrificing practicality or eco-friendliness. This guest post provided by Glass Tile Oasis.